Evolution Gaming, a leading provider of Live Casino solutions has signed an agreement with Genting UK for a bespoke multi camera Dual Play Roulette table at Genting International Casino at Resorts World, Birmingham. The uniquely customised Evolution Genting Dual Play Roulette table will be available to players at the Birmingham casino as well as to online players! Dual Play Roulette by Evolution Gaming allows land based patrons and online players to play and wager on the same Roulette table simultaneously. 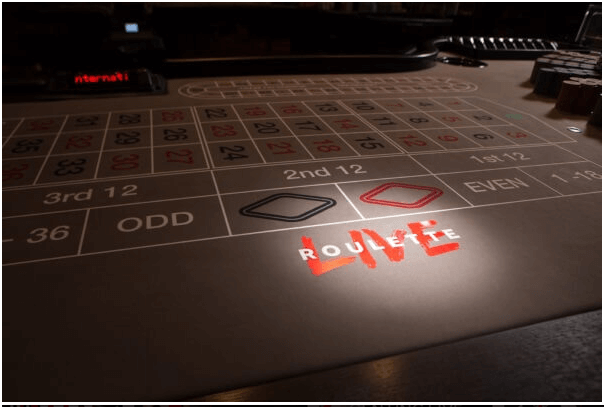 This unique and innovative live Roulette stream uses the same camera and sound installation as seen on other live Roulette tables in Evolution’s main “Live Casino Studios”. Enjoy all the action live from a real land based casino Roulette table for that ultimate true to life gaming experience. 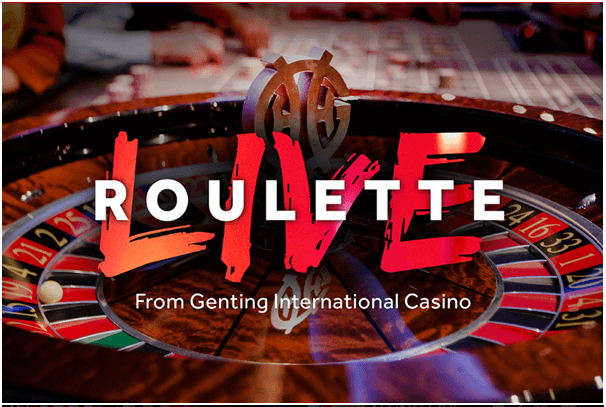 So imagine that you are at the Genting International Casino at Resorts World Birmingham and you play a few spins at the Dual Play Roulette table. Then you decide to go to the restaurant or the bar but don’t want to miss any of the action on the roulette table. You can then use your own mobile device and resume your play online! You can even go home and still play on the same table. 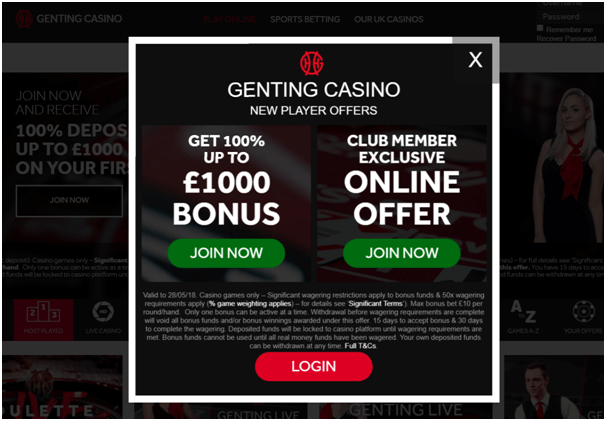 This is a great development not only for Genting live casino but for the players as well because it gives them the opportunity to keep playing their favourite numbers, or apply their strategies on the same table regardless if they are still at the casino or online. Another advantage of Genting Dual Play Roulette is the atmosphere of live casino. Surely it is nice to play with live dealers that are in a studio but playing with live dealers that are based in an actual casino is even nicer. Also the fact that you can see other people placing bets on that table makes it even better. 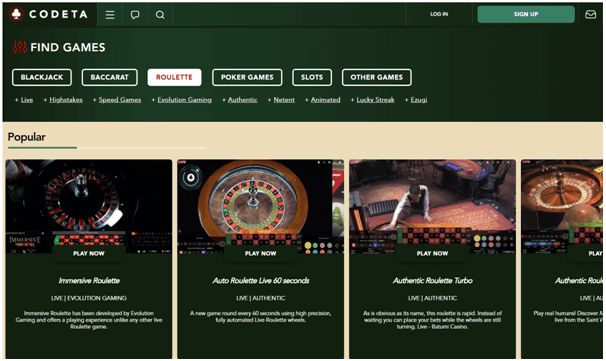 Offers players the chance to experience a unique and innovative form of live Roulette. Allows land based customers and an unlimited number of online players to wager at the same table. Multiple live camera shots of both the table and the Roulette wheel presented in high definition. Easy to use interface for both old and new players to live Roulette along with betting limits to cater for all bankrolls. Enhanced statistical graphics showing the last 500 games with hot and cold numbers to assist your betting decisions. Presents the most authentic true to life land based Roulette experience online wherever and whenever you like. If you are not aware what the Resorts World Birmingham is, it is a place that you can enjoy outlet shopping, fantastic dining, watch latest movies in brilliant IMAX™ at Cineworld and play at Genting International Casino. Plus you can book a stay at the stunning Genting Hotel or unwind at the luxury Santai Spa. The Genting International Casino is a 24/7 Las Vegas style casino where players can enjoy: Roulette, Blackjack, 3 Card Poker and Baccarat, Poker, over 100 Slots, VIP private rooms, Fahrenheit Restaurant, Sports Bar and various other games. Also you can play online at Genting Casino. 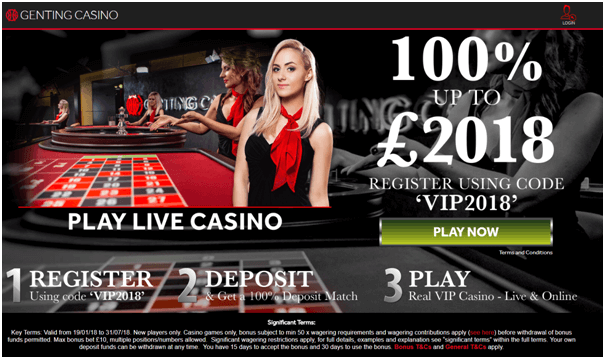 Genting Live casino is already a very popular choice for live casino players because of the great choice of tables and games, the exclusive Genting tables for Roulette, Blackjack and Three Card Poker as well as the Crockfords tables for High Rollers. There are many best UK casinos online where you can play Dual Play Roulette the highly exclusive live casino game. Here are few online casinos that offer Dual Play Roulette as part of their entire range of live casino games. With 10% cash back bonus as well as 100% deposit bonus there are wonderful promotions for UK players to enjoy live roulette. Visit the casino now. When you join the online casino for the first time you are offered with a £1000 Bonus + 50 Free Spins! If you play Dual Roulette live game then you are offered 100% up to £100 First Deposit Welcome Bonus! Click here to know latest bonus offers. 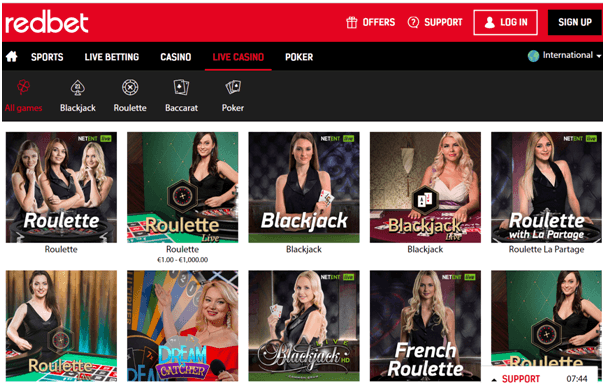 Redbet began operating online in 2004. Their mission is a simple one, to create a fun, engaging and trustworthy place to play and win. Redbet offers all your favourite live casino games alongside their sports book which includes Dual Play Roulette. When you enter the casino you are offered £200 deposit bonus + 150 free spins. Click here for more offers . 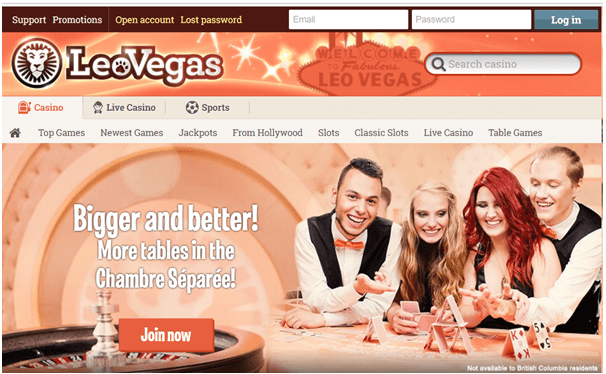 Expect world class entertainment when visiting the LeoVegas online gaming platform. The Lion presents you with a huge variety of casino games including Dual Play Roulette. As a new player you are offered £1000 welcome bonus and 222 free spins. To play at live casino you are offered welcome bonus of up to £250. Now enjoy Dual Play Roulette and have fun.